Group has provided trusted, respected office and executive suite leasing to Albany businesses. Beyond simply renting you a space, we’ve developed expertise in office space efficiency, productivity and profitability, so we’ll work with you to create a work community that serves you best, now and into the future. We’re happy to lease directly or through a broker. Rest assured that we offer competitive commissions for brokered leases—as well as flexible, optimized costs for all of our tenants. Each of our partners is a member of the Anderson family—and each of them is working in the business every day. In fact, whether you’re just starting your office search or you’ve been our tenant for years, you’ll speak directly with one of our partners for nearly all your needs. 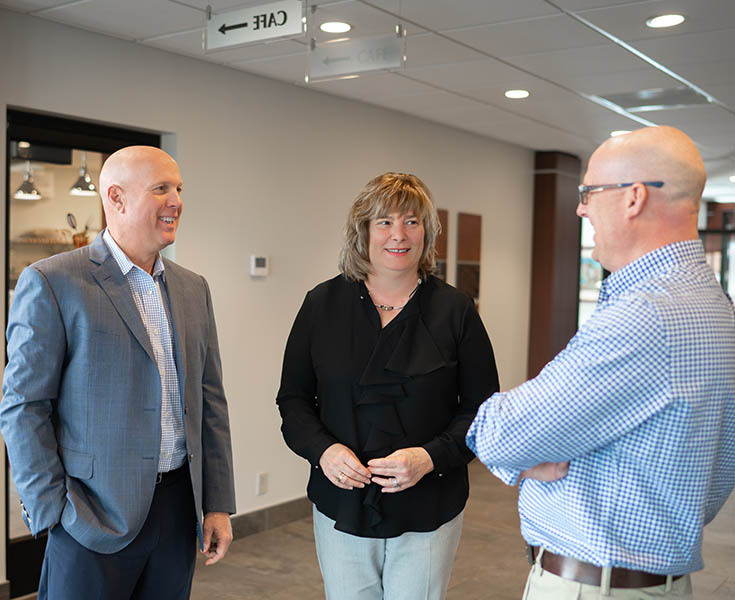 Andy, Susan and Greg have the ability to make decisions right away—and ensure that the follow-up is thorough and as promised. Just ask for what you need. We don’t say “no” often. We’re determined to make sure you feel right at home in your new suite or office. Meet our partners and team leaders and see how we support tenants in all of our properties. Think you share our passion for providing high-quality service? Contact us to learn about career openings, including maintenance and housekeeping positions. This is our home—and we know it’s yours, too. That’s why we invest time and money in organizations that make this a great place for all of us to live. Meet the partners at the head of Albany’s trusted commercial office rental company, as well as leaders of the tenant services team.